Liz and Roo Contoured Changing Pad Cover - Grey Elephants | Create Your Own Unique Look With Nursery Bedding Separates at SugarBabies! 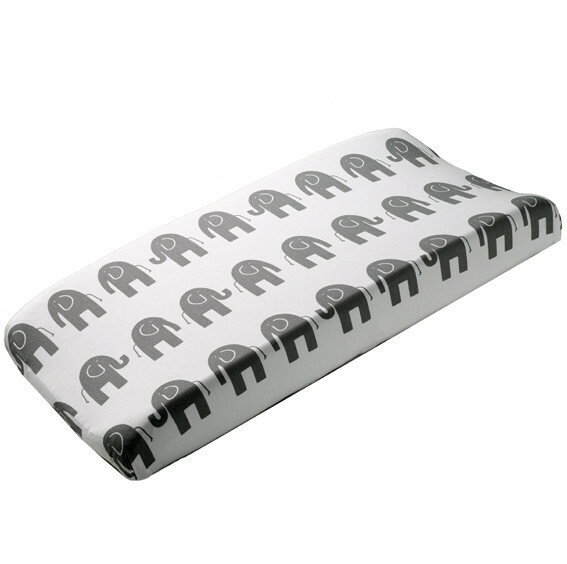 Fun, whimsical elephants in gray and white adorn this soft cotton twill changing pad cover. 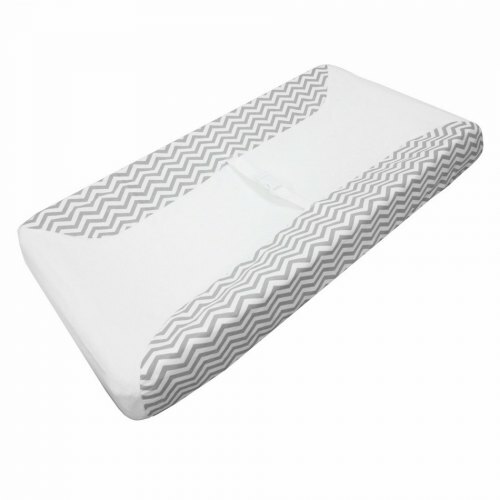 This contoured changing pad cover features a gray and white elephant pattern and coordinates with the Gray Chevron and Gray Elephants collections. It's machine washable for ease of clean up. Liz and Roo products are proudly Made in USA.